On April 6, the NCAA Division 1 Men’s Final Four took place in Minnesota. The Final Four consisted of the Virginia Cavaliers facing off against the Auburn Tigers and the Michigan State Spartans going up against the Texas Tech Red Raiders. This was the first Final Four since 2013 to not feature either Duke, North Carolina or Kentucky. Saturday night ended with Virginia and Texas Tech moving on to the National Championship, but not without some controversy. The first game of the night featured the Auburn Tigers against the heavily favored Virginia Cavaliers. 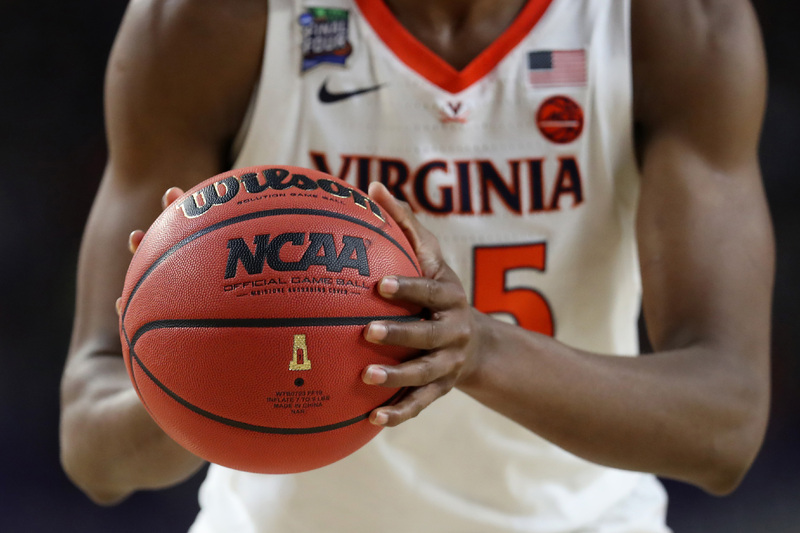 The game went down to the wire, as Virginia pulled out a narrow 62-63 victory thanks to Kyle Guy making three free throws with just under one second left. Virginia guard Ty Jerome scored a game high 21 points, 9 rebounds and six assists. Guards De’Andre Hunter and Kyle Guy also had solid scoring games as they each scored 15 points. Samir Doughty led Auburn with a team high 13 points and five rebounds. It was not the best shooting night for Auburn, being that they are a team that heavily relies on shooting threes, but they were able to keep the game close. Auburn was up by four with 10 seconds left, but Virginia was able to come down and make a quick three, narrowing the deficit to one. Auburn was then fouled, and Jarred Harper made a free throw, pushing the lead to 62-60 with seven seconds left. Virginia was able to inbound the ball and guard Guy was able to get a three point attempt, but was fouled. Guy made all three free throws and Virginia won the game. However, before Guy was fouled, the referees missed a double dribble call on Jerome. As Jerome was taking the ball up the court, he dribbled the ball off of his foot, picked the ball up and regained his dribble. By rule, that is a double dribble and the referee should have called it, but did not. If the call was made, Auburn would have gotten the ball back with about 5 seconds left, up by two and would have won the game. Instead, Virginia is moving on to the National Championship. In the second game of the night, the Texas Tech Red Raiders went up against the Michigan State Spartans. The Spartans are led by legendary coach Tom Izzo and the Red Raiders are led by Chris Beard. Both teams heavily relied on their offense and it showed, as Texas Tech held Michigan State to only 51 points. Texas Tech guard Matt Mooney shined, scoring a game high 22 points and three rebounds. Michigan State guard Cassius Winston poured in 16 points and two assists, but was not enough to overcome the stellar defense of Texas Tech. The Red Raiders led by as many as 13 at one point, but Michigan State mounted a comeback cutting the deficit to one. Texas Tech guard Jarrett Culver hit a clutch three with one minute left to ice the game, putting the Red Raiders up seven. Texas Tech went on to win by a score of 61-51, reaching the programs first national championship.